All the latest details for the Kathleen GA real estate market can be found here. Check out this report and determine if it is the right time for you to enter this market. The real estate market in Kathleen GA is a bit unpredictable right now with sales going up/down/up again over the past quarter. This past month, home sales (27) went up but still reflected only the eighth highest total in the last year.With only 2+ months of available inventory to choose, if buyers do not find what they want quickly, they will move on. Hear that homeowners...it is a great time to consider putting your home up for sale in this market. Real estate agents in Kathleen GA are doing their utmost to show every home available to both buyers and investors, despite the decreased inventory. As quickly as new inventory hits the market, many of these properties are getting multiple views and often more than one offer. You can bet, if the property is still available, it will be shown! So, what went on in the Kathleen real estate market last month? This market analysis discusses the current status and what the short-term outlook for this home market looks like. As of this article, there are a total of 90 houses for sale in Kathleen GA. The highest priced listing in this market is currently available at $629,000 and the lowest is only $148,000. Square footage of available properties ranges from 1,336 feet up to 5,452. Currently, there are only 13 Kathleen homes that are pending sale. This represents a 32% decrease from the previous month. Of these 13 houses, zero are distressed. Buyers are out looking so make it easy for them by getting your home listed, seen, and sold! 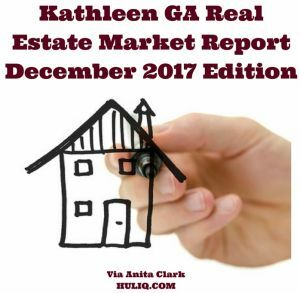 There was a total of 27 home sales in Kathleen GA during the month of December 2017. This represents the 8th highest number of monthly sales in the past year (the annual average this past year is 28 closings). The average sale price for these homes was $208K+ and they took an average of 63 days to sell! The 12-month average for both of these categories is $221K+ and 63 days. The average days on the market was decent this past month and is a good reminder that homeowners must make sure to market price their home if they want consumers to take serious interest in the property. The sales price to list price ratio in December was 98.46%. The 12-month average is 98.44%. As a comparison, during this same time-frame in 2016, there was 27 sales, an average sales price of $224K, and it took those homes 51 days to sell on average. The sales price to list price ratio was 99.15%. The most expensive sale in Kathleen real estate during December 2017 sold for $270,000. The lowest priced sale was $100,000. In addition, only 1 of the sales this past month was a distressed property. 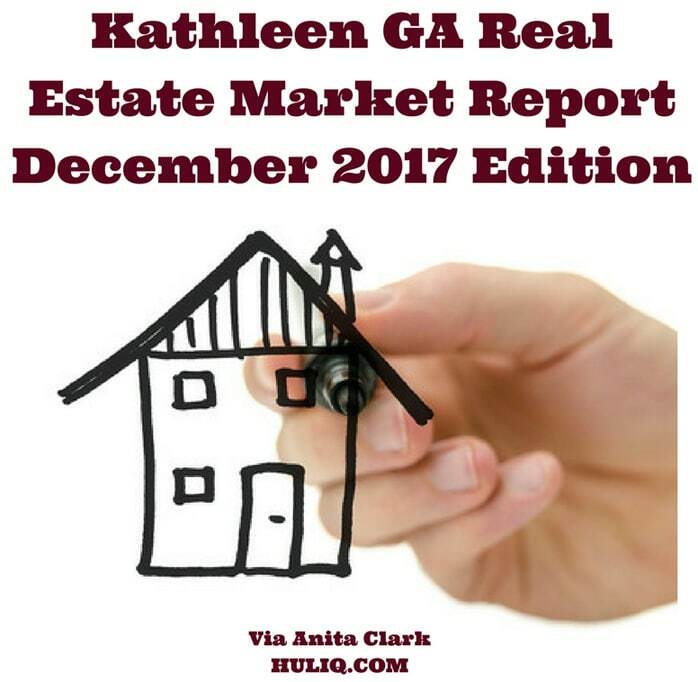 This Kathleen GA real estate market report for December 2017 was provided by Anita Clark. Anita is a licensed residential real estate agent in Kathleen GA for Coldwell Banker SSK, Realtors.